We Can Make Old Floors Look Like New Using a State-of-the-Art Environmentally-Friendly Process that Also Minimises Downtime During Application. Are you looking for a company that will refinish concrete floors to the highest possible standards? Are you looking for a company that uses the latest environmentally-friendly materials and techniques? At e-coat, we’re based in Sydney, and we specialise in concrete coating and polishing concrete floors for industrial and commercial projects. We also refinish concrete for driveways and larger residential projects. Whatever the project, we use Australia’s number 1 floor finishing and coating system: Rhino ArmaFloor. At E-coat we provide a range of different concreting services like Concrete Sealing Sydney, Polished Concrete, Polished Concrete Floors, Decorative Concrete Finishes, Concrete Resurfacing, Concrete Sealing and Decorative Concrete. If you are after any of these concreting services than contact E-coat today. Rhino ArmaFloor provides proven, high performance, environmentally-friendly premium flooring solutions. The system has been designed to withstand the high degree of impact and abrasion found in industrial and commercial flooring applications. It can also be used as a high strength concrete patch repair, self levelling, or coving system. Rhino ArmaFloor is solvent free – so no horrible smells! For a free consultation/quote, call us now at 0447 774 004 or contact us here. Get 4x the strength of regular concrete. For all projects, we use Australia’s number 1 floor finishing and coating system: Rhino ArmaFloor which is solvent free and environmentally-friendly. A full range of finishes to match your architecture…from pure ‘industrial-strength’ coatings to the ultimate in decorative coatings – we can meet your needs. Durability.Our industrial and residential coatings are high quality and hard-wearing, so they last over the long-term giving excellent value. Fast service. In most cases, weather permitting, we can restore floors quickly – minimising any disruption. Kind to the environment. In the past, concrete coating required epoxy flooring – with dangerous toxins and smells. No more. Today’s technology is environmentally-friendly. Lower Maintenance Costs… Once coating and polishing is complete, the cost of cleaning can decrease dramatically, in both cleaning products and man hours. 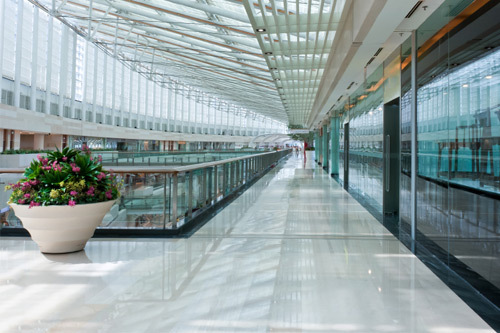 Safety… Worn or damaged floors can lead to expensive problems. Avoid these by making sure your concrete floors are in top condition. Sydney-based company… We are locals that service anywhere in the Sydney area. So call us out for a free consultation and quote!